Nadja Swarovski and Daniel Cohen, both members of the Swarovski executive board, will celebrate the marcasite launch and the jewelry designs with a cocktail party at Glasshouse 21 in New York. Marcasite jewellery is jewellery made from pyrite (fool's gold), not, as the name suggests, from marcasite.Pyrite is similar to marcasite, but more stable and less brittle. 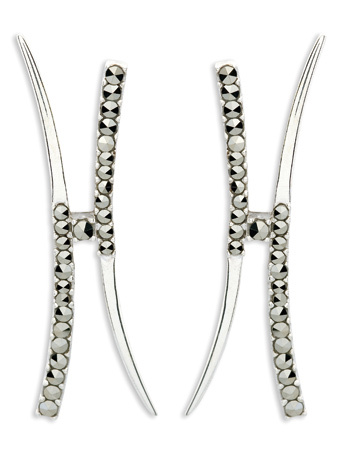 Marcasite jewellery has been made since the time of the Ancient Greeks. 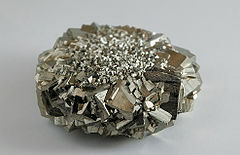 The name pyrite is derived from the Greek πυρίτης (puritēs), "of fire" or "in fire". 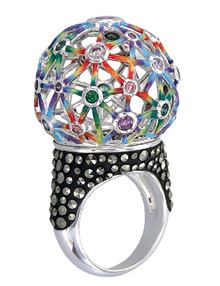 Swarovski, manufacturer and cutter of both natural and synthetic gemstones, has resurrected the use of marcasite in fine jewellery, touting it as an inexpensive alternative to precious gems such as sapphire, amethyst and citrine, but also as a gem that mixes well with those colors. Swarovski invited designers from around the world to demonstrate the artistry of marcasite in new designs using the gem in high jewellery. The resulting collection features marcasite that is punctuated with diamonds and other gemstones, set in both sterling silver and gold. At the launch Swarovski will present one-of-a-kind pieces using this new line of marcasite gemstone by 20 jewelry designers, including Stephen Webster, Stephen Dweck and Judith Jack.